Halloween is a week away. 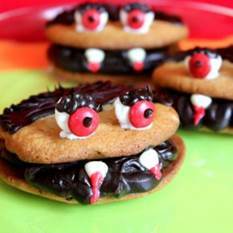 If you’re looking for Halloween themed food ideas, I came across some fun and creative ones on Spoonful.com. 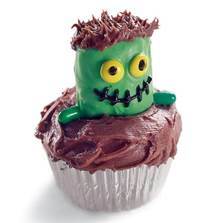 For baked treats, the Chomping Vampire cookies and Sweet Monster cupcakes are just spooky but adorable. For an appetizer, their Deviled Monster Eyes is a sure recommendation. This twist on deviled eggs uses beets to pick the eggs and give it vibrant colors. The “eye balls” are filled with a mayo-mustard mixture and topped with a green olive.